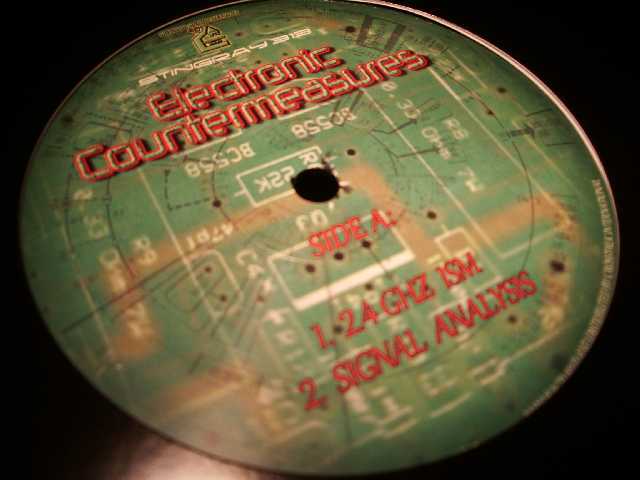 Amidst the wires of copper and plastic, Stingray313 travels in a jungle of semiconductors to drop another futuristic session for electro heads. Billed earlier as “Drexciyan DJ”, the masked man from Detroit is gradually navigating on his own ways and is clearly positioned in the frontline of contemporary electro. “Electronic Countermeasures” contains four magnetizing, equally strong cuts that kick and vibrate under a veil of darkness. Gloomy vocal sample lends horror movie feeling to “Signal Analysis”, the rest are precisely constructed instrumental transmissions with hints of experimental techno. “Spread Spectrum” is the culmination with a shower of obscure voices and killer beats. Luckily last year’s superb [Naked Lunch] single has seen good follow-up in 2011 with three Stingray313 releases so far, on labels like Trust and Unknown To The Unknown. Now with his own imprint Micron Audio, Ingram reinforces his pivotal role in the electro scene. I keep looking out after his new stuff.